The ability to harvest rainwater completely depends upon the rainfall rate and the timing of rainfall in your area. 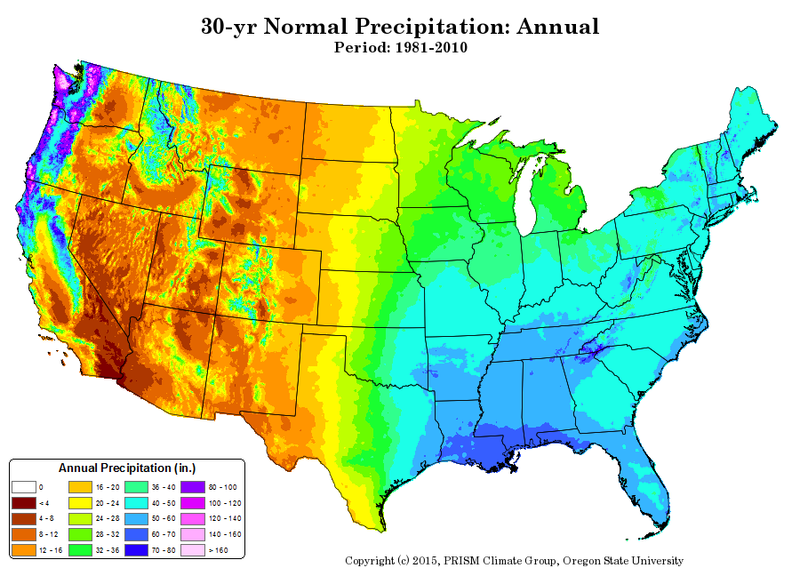 Figure one shows the average annual rainfall rates across the continental United States. You can use this information along with the information provided in the Rainwater Harvest Installation page to calculate the potential volume of water available from rainwater harvesting in your area. For more detailed information on seasonal, monthly, and even daily rainfall in your area check out this web site and select the applicable regional climate center. Remember that rainwater harvesting for landscape irrigation may only be practical in locations where rainwater can be collected in sufficient quantities during the time that it is needed. If most rainfall is seasonal, covered storage may be required which can increase costs.